Hey, is that on the TOE? Unknown location. Unknown time. Unknown origin. 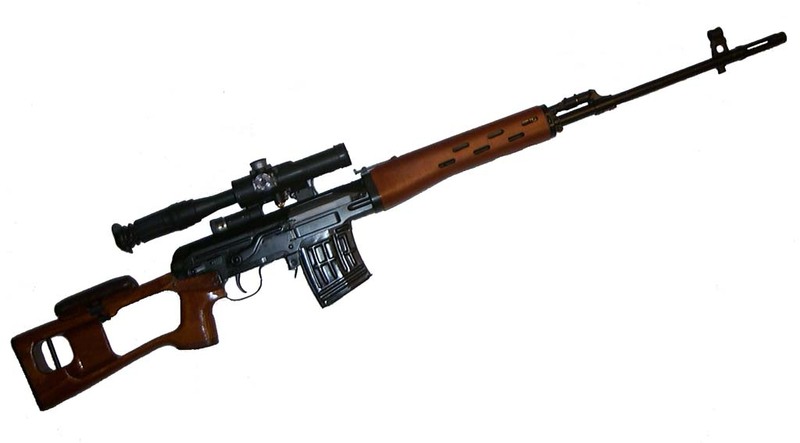 Looks like a Dragunov SVD to me. This one is from dragunov.net. Go check it out for more pics, including those gold-plated sniper rifles we heard about some time back. Weird to see US troops with Soviet-era weaponry. Wasn’t it you who posted the picture of a US Marine with a PPsh-41? Rumour has it that a number of troops used AKs during fighting in built up areas in the early phase of the war- their M16s were too cumbersome house to house. Haven’t seen any pictures yet though.